The Man Who Broke into Auschwitz is the extraordinary story of a British soldier who marched willingly into the concentration camp known as Auschwitz III, to testify at first hand the atrocities occurring in the camp. He hatched a plan to swap places with a Jewish inmate and smuggled himself into his sector of the camp. He spent the night there on two occasions and experienced at first-hand the cruelty of a place where slave workers had been sentenced to death through labor. For decades he couldn't bring himself to revisit the past that haunted his dreams, but now Denis Avey feels able to tell the full story - a tale as gripping as it is moving - which offers us a unique insight into the mind of an ordinary man whose moral and physical courage are almost beyond belief. Editor's note: There has been some debate among critics and historians as to the accuracy of Denis Avey's account of his experiences in Auschwitz III. To find out more, check out the video interview with Avey in which he defends his work. I never joined up to fight for King and Country, though I was patriotic enough. No, I enlisted for the sheer hell of it, for the adventure. I had no idea how much hell there would be. There was no sense of heroic departure when I went off to war. We left Liverpool on the troopship Otranto on a bright August morning in 1940 with no idea where we were headed. I looked at the Royal Liver Building, across the broadening strip of brown Mersey water and wondered whether I would ever see the green Liver birds crowning it again. Liverpool had not seen much bombing then. It would get its share a month after I left, but for now it was largely a peaceful city. I was twenty-one years old and I felt indestructible. If I lose a limb, I promised myself, I am not coming home. I was a red-headed soldier with a temperament to match and it would get me into lots of trouble but that is just how I was. The Man Who Broke into Auschwitz has an eye-catching title and jacket copy, but each does the author a disservice. The exchange highlighted so prominently encompasses only 15 pages of the narrative, and it's a bit of a letdown compared to the rest of the author's experiences. This is a fascinating memoir that certainly engages the mind, if not the soul; it answers the question, "What happened?" as opposed to "What was it like?" Those who enjoy wartime chronicles will undoubtedly find much of interest in its pages. Is it a stand-out example of its genre? Not necessarily, but it is definitely an excellent addition to it. (Reviewed by Kim Kovacs). Simple, moving, and gripping story that puts one into the death camps and on the death march. There are some who doubt his story but don't let that ruin this extraordinary book. An excellent memoir of survival. [A] plainspoken, moving story… a unique war story from a brave man. [A] strange, brave and bracing story. This is a most important book, and a timely reminder of the dangers that face any society once intolerance and racism take hold. Denis is a hero in time of terror, a man of limitless moral and physical courage. Auschwitz was a huge complex that covered 40 square kilometers (25 square miles) near the town of Oswiecim, Poland. 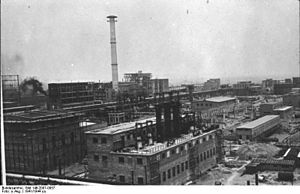 It was comprised of three sections: Auschwitz I, the base camp and central office; Auschwitz II, aka Birkenau, a concentration camp and crematorium; and Auschwitz III, aka Monowitz or Monowitz-Buna, a labor camp adjacent to a factory owned by IG Farben Industries where synthetic fuel and rubber were produced. An instant hit in the UK, this is the true account of a German shepherd who was adopted by the Royal Air Force during World War II, joined in flight missions, and survived everything from crash-landings to parachute bailoutsultimately saving the life of his owner and dearest friend.